A new kitchen involves some decisions that you’ll need to live with, so it’s good to make the right ones! 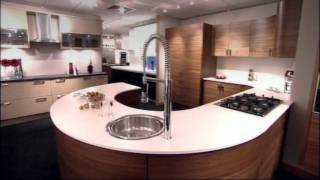 A look at kitchen luxury from Mackintosh Kitchens. Ideas in design and function that will expand the options that you may be considering for your kitchen design project. Things to think about before you start looking at kitchen products, including the actual size of your kitchen, the colours you prefer and the overall style - maybe something traditional, or maybe something more contemporary. Handles can make a great impact on your kicthen and can influence the style significantly. Use a combination of different handle styles to give your kitchen individuality and impact. Ideas for ambient and function lighting and the balance between the two. Consider different lighting technologies, including the latest LED lighting units, with or without dimmers. Ideas on the choice of colours for a new kitchen, including kitchen doors, floors and walls. 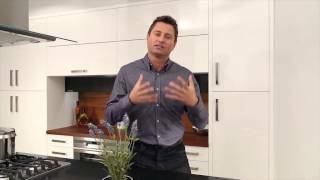 George Clarke from Mackintosh Kitchens on how to make the best use of space in a smaller kitchen.